MBARARA – Mr Umar Asiimwe’s quest to be recognized as the king of the defunct Ankole Kingdom has suffered a severe setback after his own father accused of being an impostor. 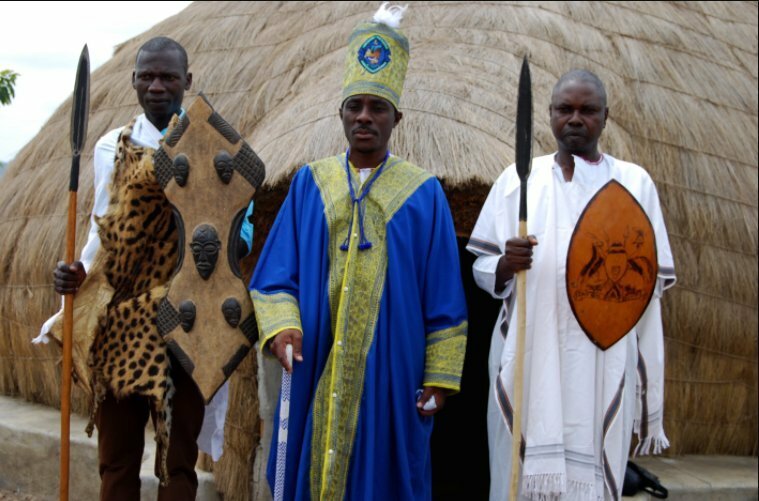 Mr Asiimwe claims to be the rightful king of Ankole and has since dragged government to court for refusing to recognize him. But his father, Mr Idris Kaweesa Igumira Kitobobo, journalists on Sunday that Mr Asiimwe is only a prince and not a king and that his claim is dividing the Banyankole and government. “I had assigned my son (Umar) to mobilise and lead sensitisation towards restoration of Ankole Kingdom as a prince but not a king. But when he reached here, he established himself as a king and started performing cultural functions and rituals as a king,” said Mr Igumira. The latter was addressing journalists at Itaaba, Kabanyoro in Rwampara, Mbarara district where Mr Asiimwe has established a palace. Mr Igumira also revealed that at the beginning of the year, he took over the palace at Itaaba and chased away Mr Asiimwe. “This land was bought by the family from natives who had occupied it after our ancestors left, we chose to buy it back and I am the lead signatory so Mr Umar is no longer wanted here, am going to manage this palace because what he has been doing is an abomination, “he said. Mr Igumira claims he is the grandson of Ntare V, one of the kings of Ankole. He also revealed that he intends to peacefully restore Ankole kingdom and not confrontation, which he said his son has been using. When contacted, Mr Asiimwe said his father is being selfish. “It’s all about wanting to undermine what I had achieved towards kingdom restoration and they believe I have gained a lot economically and that why he and group want me out but it will not be possible, am already established,” he said. Mr Asiimwe has been claiming he was crowned the King (Omugabe) of Ankole on October 29, 2016, at the Kingdom palace located in Itaaba Kyabanyoro, Rwampara County in Mbarara District. He went on to appoint 20 ministers and 17 county chiefs to help him carry out activities of the kingdom and has since been conducting meetings with his ministers and chiefs at the palace.